While planning your activity, the power to anticipate weather can be a decisive factor and will lead to better results. Newspaper introduces, for the first time, the amazing Weather Widget designed to deliver precise long-term weather forecast information for your visitors. We also included a local weather button in the top-right corner. When you click on it, your location is detected and it will display the local weather information. 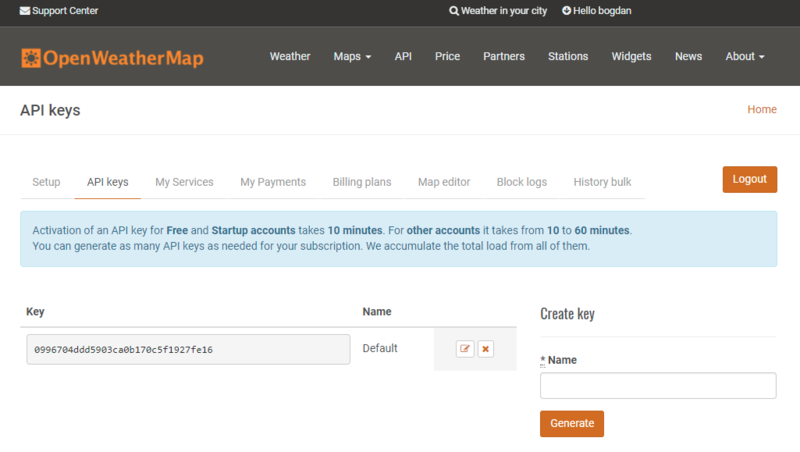 You will have to create a free account on https://openweathermap.org/ and receive or create the API key for the widget. To find your location use the following link. You can use “city name” or “city id” ( download city id list ). Note that the widget will auto translate itself to the language from the Theme Panel only if a translation is available. The weather widget can also be set to appear on the top menu. Because space is restricted it will only display the sky conditions, current temperature and the selected location. 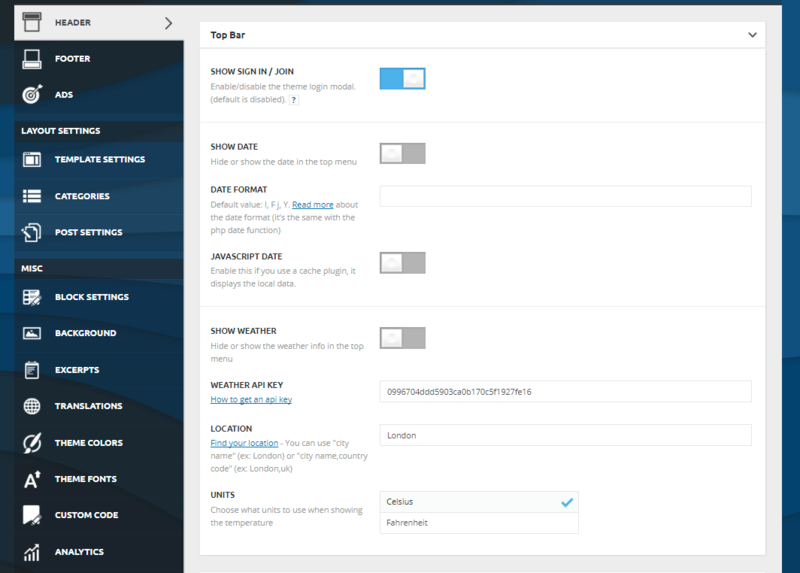 You can set it from Theme Panel -> Header -> Top bar. Just add the location, the API key, select the units and turn on the Show Weather switch.